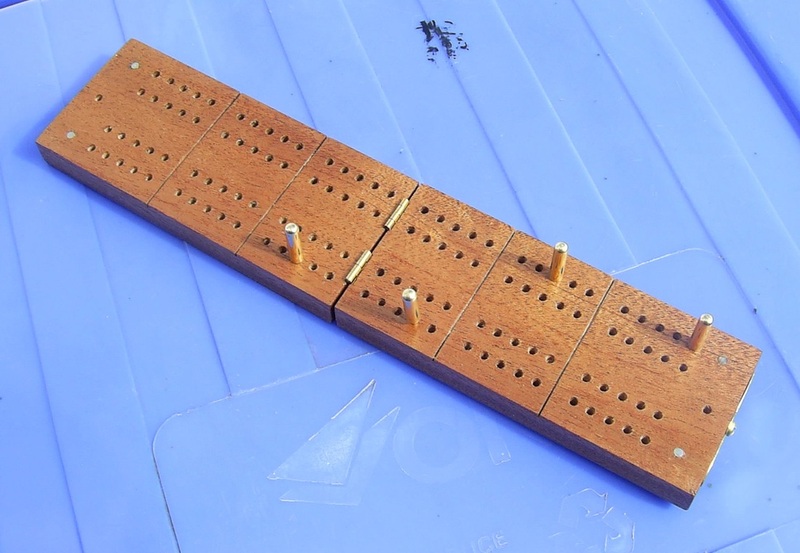 It's mahogany about 5/8" thick and the holes are 3mm. The pegs are made from 3/16" brass with 3mm shoulders turned on one end. 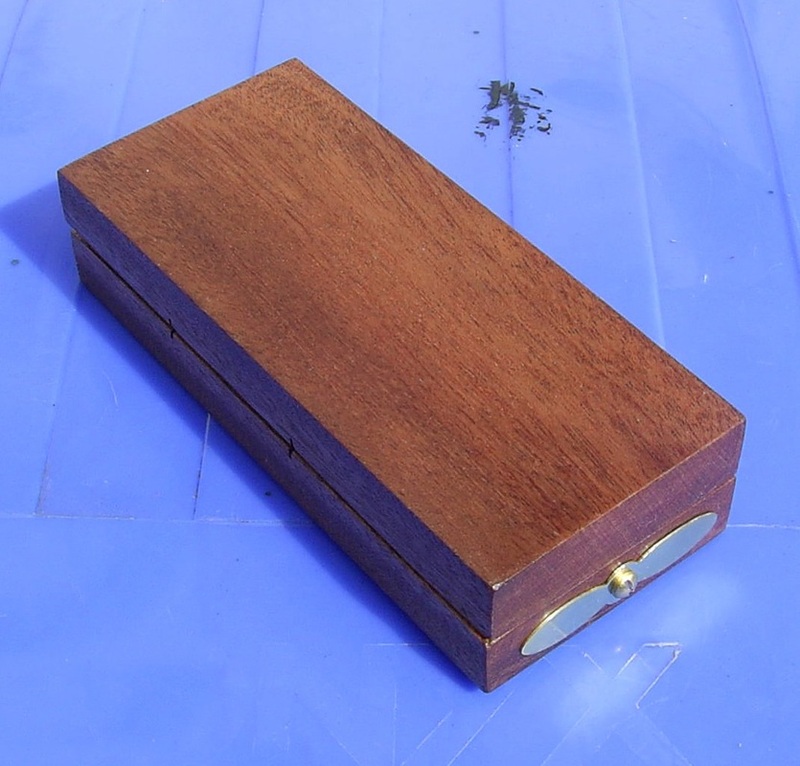 These are stored in two 6mm holes drilled in the end and kept in place with a brass cover. ​To keep it closed there are neodymium magnets at each corner. A drilling template can be found here.